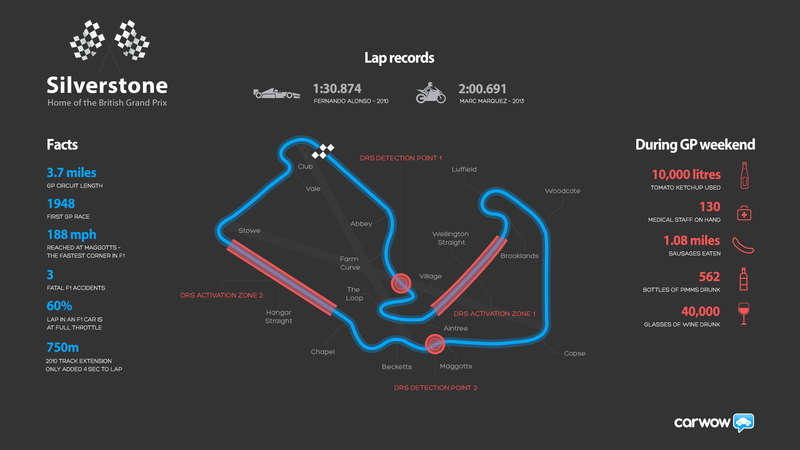 Weve created an eye-catching and informative wallpaper to mark the 2014 British Formula One Grand Prix at Silverstone, which takes place this weekend (4 to 6 July). The Silverstone Grand Prix circuit is one of the most iconic shapes in the motorsport calendar, and this weekends race has given us the perfect excuse to investigate the incredible amount of activity and gluttony that surrounda modern Formula One race: the top speeds, lap records, the bottles of Pimms and, er, the vast quantities of ketchup. 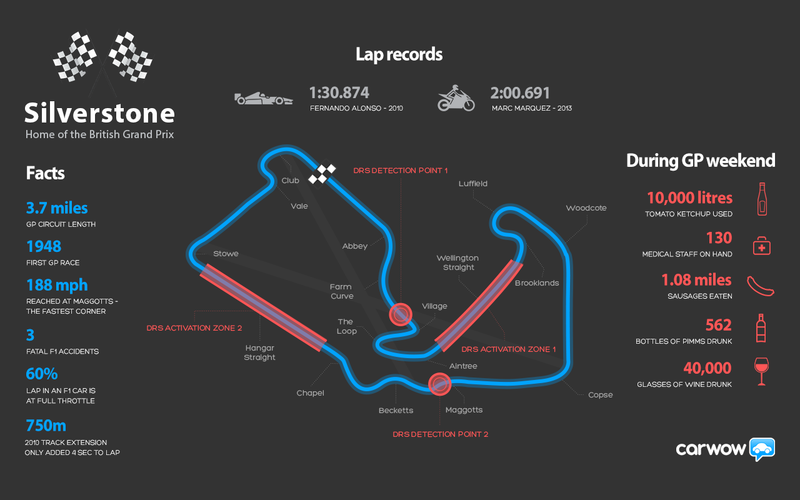 To celebrate the occasion weve created a track map of Silverstone, but with a difference its packed with facts you can use to impress your friends. Did you know that some drivers take Maggotts corner at a bottom-clenching 188mph? Or that fans will glug their way through 40,000 glasses of vino during the race weekend? Perhaps the less said about the mile of sausages theyll scoff the better. Join our homage to the greatest British motor race by downloading a wallpaper-sized version of our fact-packed track map below. Feel free to share it on your own blog using the html code below.